NetSci 2018, the flagship conference of the Network Science Society, aims to bring together leading researchers and practitioners working in the emerging area of network science. The conference fosters interdisciplinary communication and collaboration in network science research across computer and information sciences, physics, mathematics, statistics, the life sciences, neuroscience, environmental sciences, social sciences, finance and business, arts and design. 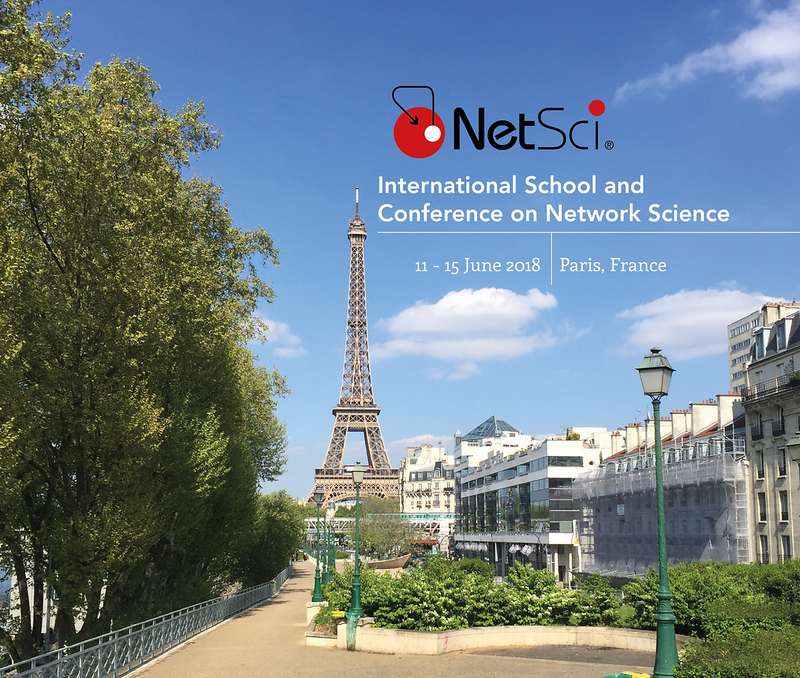 NetSci 2018 in Paris, France will be a combination of: * An International School for students and non-experts (June 11-12, 2018) * Satellite Symposia (June 11-12, 2018) * A 3-day Conference (June 13-15, 2018) featuring research in a wide range of topics and in different formats, including keynote and invited talks, oral presentations, posters, and lightning talks. March 20: Registration for presenters of accepted contributions ends. April 10: Early registration ends. May 28: Online registration ends.